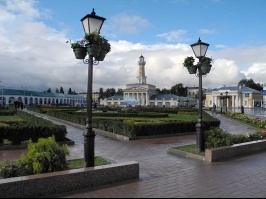 Contrasting with imperial Moscow and St. Petersburg, there is another type of Russia east of Moscow called the Golden Ring - a land of small historic towns and villages, ancient white churches with golden onion-domed cupolas, unspoiled nature, and a quiet provincial life. Touring a string of medieval towns of the Golden Ring is like settling into the Russian pastoral world of whitewashed churches with golden onion domes, green meadows blanketed with flowers, and tea bubbling in samovars in colorful cottages. 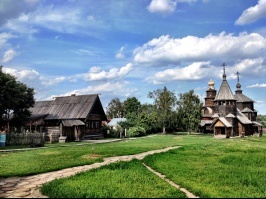 These ancient towns are a spiritual respite for the Slavic soul, the heart of the Orthodox Church, the cluster of historic architecture, religious art, traditional cooking, and handicrafts. The best way to explore the area is by hiring a private car and a guide. Depending on the time you have, you can do a one-day trip to Sergiev Posad, or a 2 day trip to Sergiev Posad, Vladimir and Suzdal. 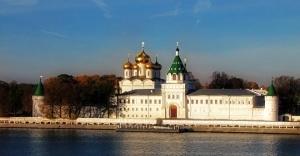 Going further to Yaroslavl, Kostroma and Rostov Veliky will require 4-5 days but is well worth it.